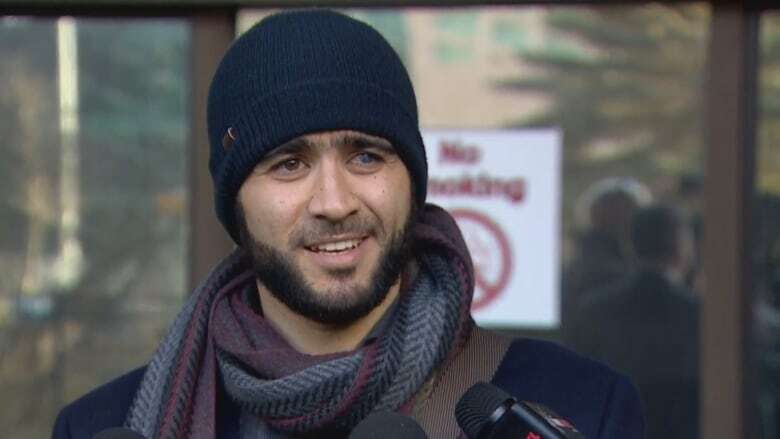 The overriding idea, Khadr's Edmonton-based lawyer said in an interview Tuesday, is to ensure an end point to the eight-year sentence the commission imposed on him in 2010. Had Khadr, 32, remained in custody, his sentence would have expired this past October. However, the clock stopped ticking when an Alberta judge freed him on bail in May 2015 pending his appeal of his military commission conviction for war crimes — a years-long process that still has no end in sight. "The bail order does interrupt the ticking of the clock but practically speaking, the guy has served his sentence now," lawyer Nate Whitling said from Edmonton. "The youth court judge does have the authority to just simply terminate the sentence and say, 'It's now over'." The Supreme Court of Canada has ruled the punishment handed Khadr for alleged acts committed in Afghanistan when he was 15 years old to be a youth sentence. His application, to be heard this month, asks a youth judge to release him under supervision for a single day, then declare his sentence served. One hurdle Khadr must overcome is proving the Alberta Court of Queen's Bench has jurisdiction because the international treaty under which he was transferred to Canada from Gitmo could be interpreted as precluding such a review. If that view prevails, his application asks the judge to declare that part of the treaty unconstitutional. "As with everything in Omar's case, there's no precedent," Whitling said. "(But) we're confident that if he were to be given a parole hearing, he'd be an extremely strong candidate for full parole with minimal conditions. He's been out all this time under these conditions and under close supervision." "He's got these conditions on him and essentially right now, they're going to be there indefinitely," Whitling said. "We would like to get Omar's clock ticking again. We want this sentence to actually start ticking, so it will expire." Khadr was sent to the notorious U.S. military facility in Cuba just months after he was captured as a badly wounded 15 year old in Afghanistan in July 2002. The U.S. accused him of throwing a grenade that killed an American soldier.